Licensed and service to all 50 states contracting with major insurance providers and able to bill Medicare Part B, Part D or DME. Benefit Verification: We provide complete benefit verification on each prescription. If special requirements or restrictions are in place, we will coordinate the fulfillment. Prior Authorization: We work with all insurance companies and will initiate prior authorizations on behalf of the provider. Appeals Team: Our team will work with the insurance company and make every effort to appeal a denied claim. Patient Counseling & Training: Our medically trained staff can provide counseling and training to patients and caregivers across the country. Financial Assistance: Our team will help your patients find financial assistance if needed. Welcome Packet: Patients will receive an introduction to our company’s offerings and services with their initial prescription. Pickup/Delivery: We will coordinate the delivery of the patient’s medication to the location of their choice. Support: Our team is readily available to address any questions or concerns our patients have regarding their medications. Medication Refill Reminders: Our trained staff and care coordinators will call monthly to remind patients to refill their medication. Symptom and Side-Effect Management: Pharmacists and case managers will evaluate the patient’s symptoms and side effects prior to coordinating the next delivery. It has been said that the most expensive medication is the one the patient does not take. At Vasco Rx, we are committed to assisting your patients with their concerns. Our Medication Matters Patient Adherence program is designed with the provider and patient in mind. Did the patient fill their prescription? Did the patient receive their medication? Did the patient have questions or concerns about the medication? Did the patient require education on medication administration? Did the patient require counseling about side effects or treatment protocols? Is the patient taking their medication as prescribed? Is the patient having side-effects that are preventing medication adherence? 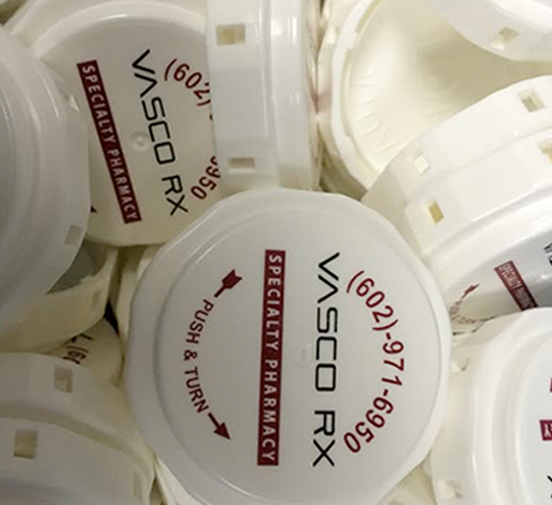 At Vasco RX, we are committed to providing service and support to ensure our patient’s success. Let us support you and your patient’s ever-changing healthcare needs.